"We believe there are better alternatives"
CLEVELAND — Within days, medicinal products containing marijuana could be in the hands of Ohio patients. According to the Ohio Medical Marijuana Control Program, 4,964 patient recommendations have been submitted through the registry in four weeks. Of those recommendations, 3,575 people have activated their registry card. One provider who will not be recommending medical marijuana to its patients is Cleveland Clinic. In a letter posted on its 'Health Essentials' blog and shared on social media, the Clinic states, "In the world of healthcare, a medication is a drug that has endured extensive clinical trials, public hearings and approval by the U.S. Food & Drug Administration (FDA). Medications are tested for safety and efficacy. They are closely regulated, from production to distribution. They are accurately dosed, down to the milligram. Medical marijuana is none of those things." The statement from Cleveland Clinic comes as the state medical board is reviewing six additional conditions that can be treated with medical marijuana use in Ohio, including autism, opioid addiction, and chronic anxiety. 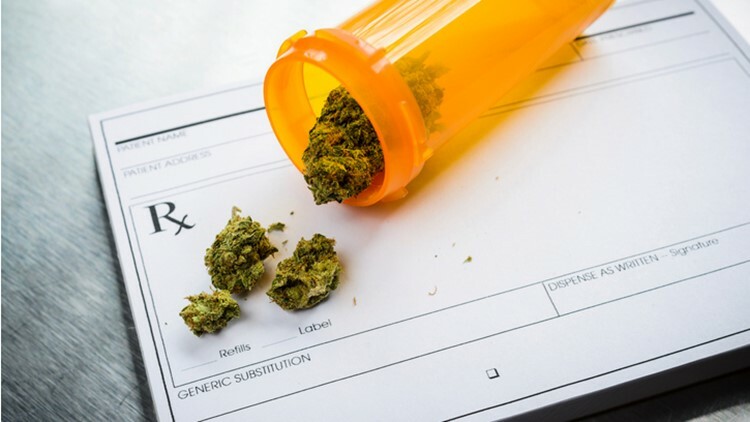 Currently, the law allows medical marijuana to be dispensed for conditions including AIDS, cancer, epilepsy, multiple sclerosis, severe or intractable pain, and ulcerative colitis. The Clinic points out that FDA-approved products for such conditions are already available (most recently for epilepsy) and more are in various stages of research and development. In June, the FDA approved Epidiolex for treatment of seizures in two rare forms of severe childhood-onset epilepsy. It is the first FDA-approved drug to contain a purified compound ― cannabindiol (CBD) ― derived from marijuana. Previously, the FDA had approved dronabinol and nabilone, both of which contain synthetic versions of tetrahydrocannabinol (THC) to treat chemotherapy-related nausea and to increase appetite in patients with AIDS. "These are the types of marijuana-derived medicines Cleveland Clinic supports and prescribes," writes Dr. Paul Terpeluk, Medical Director of Occupational Health Services in the statement. "Unfortunately, that’s not what will be sold through dispensaries. Products such as vaporizers, edibles, oils, tinctures and patches all lack uniform dosing specificity. The levels of THC or CBD can differ greatly from one dispensary to another or one batch to another. By contrast, an FDA-approved medication offers uniformity; a medication bought in Cleveland today will be the same medication bought in Cincinnati or Denver or San Francisco a year from now."